The average doctor’s appointment rarely lasts longer than 15 - 20 minutes. Some appointments for a more straightforward health issue, like a sore throat or sprained wrist, may even take less time. Because of this, you always want use every minute of a doctor’s appointment to your advantage by learning all you can about your own health from an expert. If you’re prepared, your next appointment will go smoothly for both you and your doctor. We want to be sure that all your questions and concerns are answered in the time that you have with your doctor. 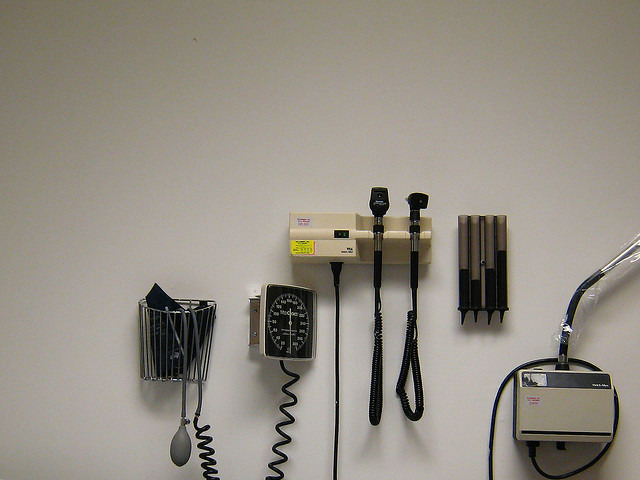 Below we have listed some tips you can use to make the most out of any doctor’s appointment. Specific health concerns you want to discuss along with their symptoms. Questions you might have for your doctor. Prioritize the questions based on what you think is most important. For example if you are experiencing new symptoms you may want to ask what your doctor believes is causing them. Any medications, vitamins or other supplements you currently take and their dosages. Even if you only take one or two medications, having them written down with the dosages will help avoid any confusion. Before your appointment, you may want to consider asking a friend or relative to come along with you. During the appointment they may think of questions you had not thought to ask. They will also be able to take notes so that you remember all of the doctor’s instructions after the appointment. Be Sure Your Doctor Has All the Facts - Even if a symptom may seem embarrassing, you don’t want to leave out any information during your appointment. The more facts your doctor has the easier it will be for him or her to help you. It’s also important to answer all of your doctors questions completely and truthfully; this will also go a long way to help them figure out what is going on. Ask Questions if You Don’t Understand - Listen carefully to your doctor’s diagnosis and recommendations. Ask plenty of questions if there’s anything at all you don’t understand. Your doctor will do everything he or she has to in order to help you understand what’s going on. Know What Comes Next - Before you leave the office, make sure you know exactly what steps you need to take next. Do you need to have any tests done in a lab? Has your doctor called a prescription into the pharmacy? Do you need to make a follow-up appointment? Ask if you are unsure. Once you leave the doctor’s office, your journey to good health is still not over. Following your doctor’s instructions is of the utmost importance. Be sure to follow through on any additional tests or treatments. This could include getting bloodwork or x-rays done, as well as any kind of physical therapy or taking prescribed medication properly. And never hesitate to call your doctor’s office if you continue to have symptoms or have any more questions or concerns. Questions? Thoughts? Anything you want to add to our list? Go ahead and leave them all in the comments section! *Image courtesy of Flickr user Andrew Malone.